No cash back. Not valid with any other offer. Printed voucher must be presented. 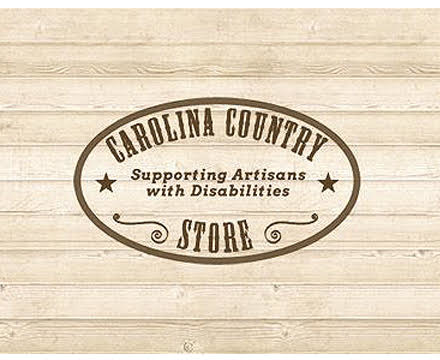 All of our Carolina Country Mercantile Store brand products are made by artisans with disabilities. These are exceptional adults whom have mastered their skill in different areas such as: making peanuts, soap, salsa, etc. All of our products are made right here in the great state of North Carolina! At the Carolina Country Store, we carry an array of homemade North Carolina products by some of your favorite local brands! Our wide range of products vary from organic bath and body products to delicious, chocolate-covered pecans to guacamole infused hot sauce. We have a product for every individual, making the Carolina Country Store your one-stop-shop for locally made gifts! Our store is housed at 119 S. Water St inside the Old Wilmington City Market, located in historic downtown Wilmington, NC. We are made of a small, tight-knit staff, whose primary goal is to provide you with individual attention and exceptional service. We appreciate your support of our small business and North Carolina artisans with disabilities. We hope you enjoy your shopping experience with us!